The ghost shrimp, or glass shrimp, is a freshwater crustacean popular with fish keepers of all experience levels. Being easy to care for, they are a great addition to a tropical community aquarium containing small, non-aggressive fish. Ghost shrimp are not for the sentimental, their life spans just one year, but this makes them much more affordable. They usually have two roles, as feeders to larger fish or as efficient tank cleaners. 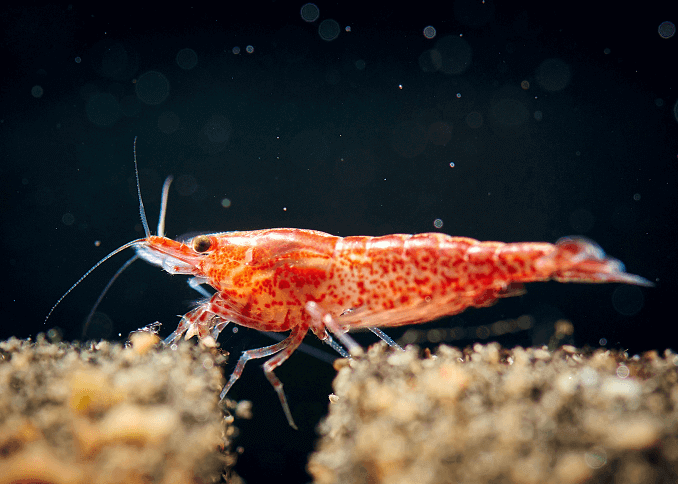 In this article we will cover all you need to know about ghost shrimp, including care, compatibility, diet, breeding and much more. Your Free eBook: Download your Ghost Shrimp eBook which will teach you everything you need to know about caring for them. Ghost shrimp are originally from North America and have been popular in home aquariums since being first described in 1850. ‘Ghost shrimp’ is the common name used for a few different varieties of shrimp, the most popular of which being the Ghost Shrimp freshwater genus belonging to the Palaemonetes family. This article will focus on the freshwater Ghost Shrimp. There are a number of different species of ghost shrimp within the Palaemonetes genus, however most fish stores just use the common name ‘Ghost Shrimp’. Nowadays they can be found across the world, though most populations are reared in farms as feeder fish or to supply home aquariums. While frequently used as bait by fishermen, wild populations can be problematic for the fishing industry; this is because they act as pests in aquaculture. In an aquarium ghost shrimp make your life that little bit easier. As a prominent scavenger, the shrimp will clear up any uneaten food as well as keeping algae levels down. Their cleaning prowess will keep the tank looking clean. They do this throughout the day and are always active and busy. Their behavior ranges from free-swimming and feeding/cleaning all around the tank. A group is not necessary though, a single shrimp will function happily on its own. When getting the shrimp be sure to check whether they are bred as feeder fish or for a home aquarium. Feeder fish are often treated poorly and are unlikely to survive as long. As the name might suggest, ghost shrimp are mostly clear in color in order to evade predators. This allows the inner-workings of their body to be viewed as it processes food, a large reason as to why they are an attractive addition to an aquarium. Different specimens may have different colored dots on their backs. They will grow to roughly 1.5 inches but females will become larger than the males. 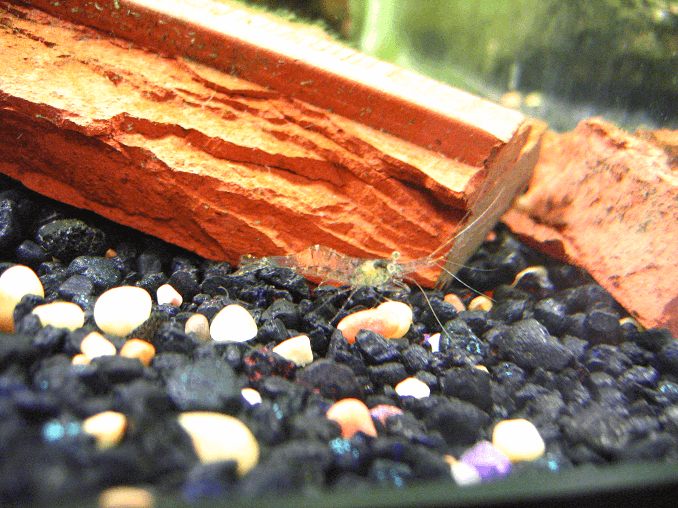 Ghost shrimp have two pairs of antenna, one long and one short. These antennae are sensory organs that detect tactile or chemical information such as toxins or food in the water. Antennae also have social uses but this is less understood. The rostrum, a beak-like extension, is between the eyes and in front of the carapace. 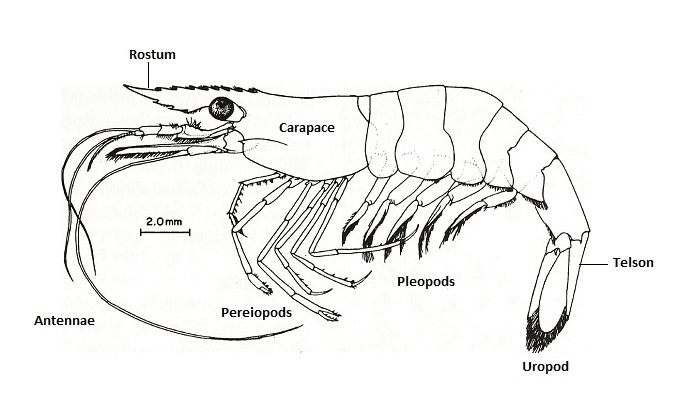 The carapace is a hard protective shell that encases the softer parts of the shrimp for defense. Behind the carapace are six flexible abdominal segments that house pairs of pleopods “swimming limbs”. The sixth abdominal segment connects to the tail, in the middle of which is the telson, the final segment. Under the telson are four further segments that embody the uropod, forming the iconic tail fan. As mentioned previously, ghost shrimp live for around a year, but this can vary depending on the individual and the place of origin. Since they are so cheap and easy to breed, they are often used as feeder fish for larger species in the home aquarium, and as a result are often kept in high densities with poor filtration. This makes them more likely to die during transport and increases their mortality rate. It is common for some individuals to die a few days into life in their new tank, even if the tank is perfectly healthy. Though their lives are short, specimens will molt regularly as they eat and grow, becoming too large for their previous shell. This can become fairly frequent, it all depends on how much they eat and how fast they grow. Once they have shed their old shell, they will be particularly vulnerable until their new shell hardens. While this should not be cause to worry, do not be surprised if your ghost shrimp take damage through rough behavior from boisterous fish. Ensure that your tank has crevices or plants for molting shrimp to hide in. When you see a molted shell sitting on the sediment it is natural to panic and assume it is a dead shrimp, but with closer inspection its hollow interior should clearly identify it as a discarded exterior. When a shell is shed you do not need to remove it from the aquarium immediately because they usually become food for other shrimp in the tank. A freshwater shrimp like this one would typically live in rivers or lakes where there is flowing water, fine sediment and crevices to hide in. It is important to consider this when designing your aquarium. Given their small size ghost shrimp can be kept in relatively small environments, 5 gallons should be treated as a bare minimum but preferably larger. You can safely keep around 3 or 4 ghost shrimp per gallon, though bear in mind the number of other species you have in the tank. Shrimp contribute to the biological load, but far less than most fish. If you are unsure then it is always better to start with fewer so that you do not risk overstocking the tank, you can then add more later. 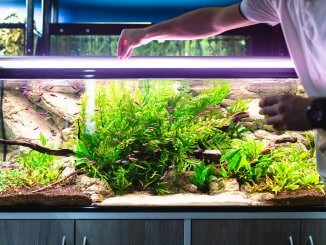 An ideal aquarium would contain an abundance of live plants. 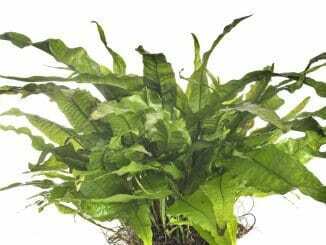 Some popular examples are hornwort, cabomba and java moss. Ghost shrimp will use debris from the plants as an additional food source, varying their diet and tidying your tank at the same time. However, make sure that the plants are hardy so that they can survive any nibbling from stray shrimp. Plants also provide areas for shrimp to hide in, particularly when molting but also when being harassed. Decorations and rocks can also be used to diversify the hiding spots available. As bottom-dwellers, ghost shrimp will spend a lot of their time on the sediment and are known to burrow. Sand or fine gravel reduces the likelihood of damage to the shrimp, and most importantly their sensitive antennae. A fine grain prevents food from sinking into the sediment as well, meaning that it sits on the surface waiting for scavenging shrimp. When considering the water parameters in the tank, ghost shrimp are not fussy. They happily suit standard tropical aquarium conditions. Temperatures can range between 65 and 82ºF. Some people claim that these boundaries can be stretched even wider, but this may stress the animals and reduce shrimp activity. The water should be slightly hard and kept between a pH of 7.0 and 8.0. Ghost shrimp enjoy a light flow of water which can easily be generated by the filter outlet or an air pump. Generally the shrimp can cope with most conditions, provided that they remain consistent. Ammonia, nitrite and nitrate levels need to be monitored, as well as any other potential pollutants. Overfeeding, overstocking and dirty filters are likely causes for levels to rise. Ammonia and nitrite are toxic to fish and should be kept as low as possible. Nitrate is less toxic and is used by plants for growth, but should be maintained around 5-10 ppm. Regular water changes will help to control these chemical levels. If you are keeping ghost shrimp as feeder fish then their tanks can be more simplistic, with a similar setup to a breeding tank (you can read more about this below). Just make sure the water is kept clean and moving. Ghost shrimp are easy to feed as they will greedily eat anything you present them with. This includes most shop bought foods such as flakes, pellets and algae wafers. Their broad diet makes them excellent tank cleaners as they will consume excess algae, plant detritus and any food left over from a fish’s meal. Watching a shrimp rise to the surface to grab a flake is particularly entertaining, but if you have a tall tank then sinking pellets will make it easier for them to grab some food before all of the mid-water fish take it. One algae pellet will easily fuel a tank containing many shrimp, any more and you risk overfeeding. The food mentioned should be sufficient to maintain a healthy shrimp, but calcium supplements could also be added to ensure a strong shell is formed. It is important to note that copper is very toxic to shrimp and should not be introduced into the tank. When adding medication into the water be sure to check its contents, as many contain copper. Ghost shrimp are peaceful creatures, but obviously this cannot be said about all tropical fish. A shrimp’s gentle nature and small size makes them prone to being eaten by larger tank mates. Consequently ghost shrimp should only be added to a non-aggressive community of small fish. There is an extensive range of fish that should be avoided. A general rule of thumb should be to stay away from those who have a large enough mouth to eat a shrimp. Fish with a reputation of being hostile or territorial are also likely causes for the loss of ghost shrimp. Bettas are good examples of aggressive fish that are popular in the home aquarium, and should not be paired with ghost shrimp. Fish are not the only available tank mates. Since most aquarium shrimp share a similar temperament you can add other species to complement the ghost shrimp. Cherry shrimp pair particularly well due to their vibrant color, but other species work well too (e.g. bamboo shrimp, vampire shrimp or amano shrimp). Snails are also a good way of diversifying the tank. If ghost shrimp are kept in a healthy environment with no predators and limited stress then they are generally easy to breed. This is one reason why they are so commonly used as feeder fish. However, a breeding tank is needed in order to grow your population. Make sure that there are males and females in your main tank, females can be spotted once they’ve matured because they grow to be much larger than the males and develop a green saddle underneath their body. Every few weeks females should produce eggs, around 20-30 green dots attached to the female’s legs. When you see this, wait a few days so that the males have a chance to fertilize them. Then move the berried female (individuals bearing eggs) to the breeder tank before the eggs hatch, otherwise the young will become a food source for any other creatures around. When the eggs hatch in the breeder tank, move the female back to the main tank or she will be tempted to eat her own young. This should take about three weeks. The breeder tank should have a sponge filter so that none of the young get sucked into the equipment. The rest of the tank should be similar to the main tank but it can be more minimalist. There should be a thin layer of sediment down but less hiding spaces are needed. A few plants are useful since they act as a food source for the young shrimp. Along with plant debris and any algae in the tank you should feed the larvae very small amounts of fine particle food, as they have tiny mouths. Once they have grown legs you can feed them the same food as the adults. After five weeks they should be fully grown and able to be moved to the main tank if desired. There are many reasons to choose ghost shrimp for your aquarium. Their small size and ease to breed makes them a cheap addition to an aquarium. Prices vary from around $1-$3 per shrimp so you should be able to purchase a few without breaking the bank. In return for just a little effort to look after them, you will be introducing some of the best cleaners to your tank. Their body shape and coloration (or lack of) varies the aesthetic of the tank and their busy and active lifestyle ensures that there is always something to look at. Though not ideal for a tank with big fish, ghost shrimp make the perfect additions to a tropical community of small non-aggressive fish. I have some questions about keeping ghost shrimp. I started a small tank, in anticipation of housing a betta, but I have not done so yet. i established a zebra snail, tiger snail, and three ghost shrimp to cycle the tank. I ended up with two female shrimp who had eggs and one small male to start. I can see the two females and they have since lost their eggs, but the male has been hard to find. I did a water change today and I’m not sure if I have a shed (stuck to a live plant) or a dead male. I can see the two females. At this point I’m more interested in making sure that my water quality is good before I even think about adding a betta. I’m also worried about the shrimp. I’ve done water changes and checks. I had some teak wood in the the tank that I hoped would lower the hardness, but it lowered it way more than I thought, even after doing water changes. I took the teak out, but I’m not sure where to go from here. I’ve been testing the water and my water is still too acidic. I’ve been working on going through the cycle of the tank, but in every test, my nitrate and nitrite level is low. Chlorine is zero. I don’t really know where to go from here. Right now, I’m looking at making sure I can take care of ghost shrimp before I even introduce a betta. I’m not sure what I’m doing wrong with cycling the water. Any advice/help would be appreciated. Thank you! Thanks for your message. We always recommend that you do fishless cycle (including other aquarium animals too). It may take slightly longer but it is always safest for all the fish/invertebrates involved. Great that your chlorine levels are at 0. Your nitrite levels need to be at zero too, and your nitrate levels should be low (you carry out water changes to keep these low). Just wait until your nitrite levels are down. 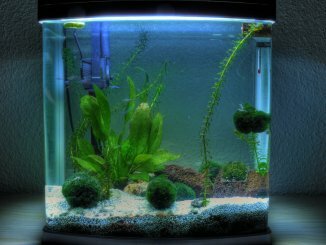 You tank needs to build up a specific bacteria which converts the ammonia to nitrites. Once this has been established, you’ll see the nitrite levels coming down. With regards to the acidity problem, have you checked your regular tap water? While it’s unusual for tap water to be acidic, this does happen from time to time. If you’re sure it’s the wood you’ve put in (some wood can alter the pH of the water), you can boil it to remove the toxins. In the meantime, there are plenty of products you can buy to raise the pH, just make sure you do it really slowly to stop your current inhabitants getting stressed. Keep an eye of the shrimp on the plant, and just take it out in a few days if you’re sure it’s dead (or just the shed exoskeleton). When the ghost shrimp dies, it usually takes on a peach colour, I have found this out by breeding and online. oh wow. today I found a clear shrimp shed, but at the time I thought it was a dead shrimp. I was freaked about until I saw a page about ghost shrimp molting. thanks for the description though! should be helpful. Hi, I’ve recently lost a ghost shrimp that had difficulty molting, what can I do to prevent this in the future. I’d like to breed them with minimal loss. Common causes of that impact molting are GH, KH and TDS. Check that your water parameters are all at the levels they’re supposed to be at. I am wondering- how many babies can a ghost shrimp have at a time? I have tried google, but it says everything BUT what I searched for. Are ghost shrimp okay to keep with guppies? Are ghost shrimp okay with goldfish? I just purchased 3 ghost shrimp and in less than an hour my 2, 3 inch koi fish gobbled them up. The 3 smaller gold fish seamed to be less interested. I am going to buy more shrimp tomorrow because I feel they should be able to survive in my aquarium because there are plenty of rocks and plant to hide in and around. I did a lot of rearranging and stirring up in the process and they were possibly struggling to maintain a safe shelter. So I set up a little 3.5 gallon bio bubble…horrible little tank, has a wicked current and it’s an absolute pain to do water changes or anything else you need to do. So I bought a new 10gallon tank with all the fixings (whoever said betta’s are a cheap fish don’t do it right! ), Did the cycle, added the Betta and a snail I had got the the 3.5g, a week later added 3 Cory catfish and a week later added 3 ghost shrimp (the store said they went well together). The Betta has left everyone alone though and seems happy in his tank with the others. I’m wondering if I could get a few more shrimp and if so should I stick to the ghost shrimp or could I get others? I have two pregnant ghost shrimp and I’m wondering how the process of having the babies will be if I do not separate them into an isolation tank. How many are likely to survive and how long until they are big enough to see so that I can clean the tank without killing those that survive? There are these small clear things attached to one of our fake plants that have been there about 2 weeks. They appear to be growing but they’re still so small it’s hard to tell. We had a berried female ghost shrimp so could these be her babies? They’re not swimming or floating around; they’re just attached to the plant and too small to make out any features although they are clear. How fast do the babies grow?